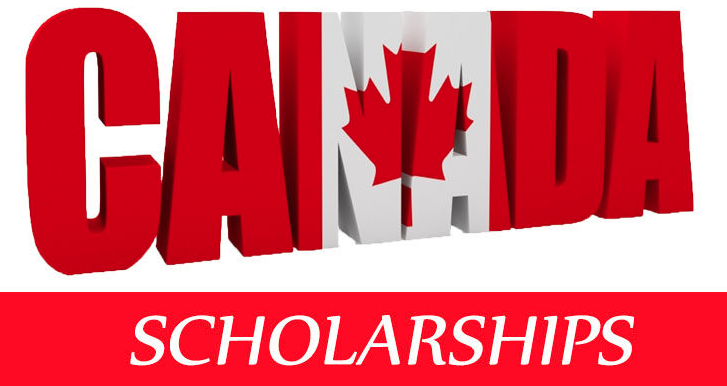 Want to study in Canada with a scholarship? Canada might be one of the most coveted destinations for international students because of low tuition fees compared to the UK and US universities. If you are an international student and are looking for a Canadian scholarship, you are pleased to know that Canadian universities and colleges provide a wide range of scholarships to meritorious international students to help them fund their studies. To make your search easier here we have rounded up a list of Best Canadian Scholarships for International Students. These scholarships can make your degree even more affordable by providing you a grand amount ranging from $1500-$50,000. DAAD is pleased to announce the Research Ambassadors Program. This scholarship is open students who have conducted advanced long-term research projects in Germany and are interested in promoting research in Germany at their home universities and among their peers and students. A global research University of British Columbia is now accepting applications for its Deputy Vice-Chancellor Scholarship for International Students. This scholarship is open for continuing international undergraduate students entering second, third or fourth year at UBC’s Okanagan campus. The award amount of this scholarship is $1500. If you are International students, you can apply the President’s Scholarship for World Leaders. This scholarship is established by the University of Winnipeg. International candidates who enrolled in full-time undergraduate degree programs at Winnipeg University are eligible to apply for this scholarship. It is awarded up to $5000. China Scholarship Council Doctoral Scholarships are available at the University of British Columbia. For this scholarship, Chinese citizens living in China and wanting to pursue doctoral studies at a North American university are eligible to apply. These scholarships will be awarded to students across a wide range of disciplines. The University of Lethbridge is now offering the Alberta Gambling Research Institute Scholarship. This is scholarship is open to Canadian, permanent residents, and international Masters or PhD student. Award amount of this scholarship is 20,000. If you are international transfer students who want to get a scholarship in Canada then you are glad to know that the University of Saskatchewan gives a chance to apply a Transfer awards. This scholarship will be awarded $4500 to winning candidates who have a minimum of 24 transferable credits. Humber College is pleased to offer seven International Student Scholarships. Applications will be considered based on academics, community involvement, referee/reference letters and statement of interest. This scholarship will be awarded $5,000. The student must maintain a minimum average of 75% in order to be eligible for renewal. Applications are inviting for McMaster Honour Awards at McMaster University. This award is open for Canadians or permanent residents, international students who completed their final year of high school in Canada. Award amount of this scholarship is $4,750. MBA Entrance Scholarship is established by UBC Sauder School of Business. This scholarship is open for candidates who display an outstanding combination of talent, drive, and business and academic achievement may be considered for a UBC International MBA Entrance Scholarship. This is awarded 6,000 USD. International Baccalaureate Entrance Scholarships are available at the University of Manitoba. Students who are entering university for the first time on the basis of the full International Baccalaureate Diploma are eligible to apply. Award amount of this scholarship varies. Are you ready to apply the Postdoctoral Research Fellowship? If yes, the University of British Columbia is providing a Killam Postdoctoral Research Fellowship. The program is open to supporting citizens of any country and advanced education and research at five Canadian universities and the Canada Council for the Arts. Students will receive $50,000 annual stipend for a maximum of two years, plus a travel research allowance of $4,000 over two years by this scholarship. The Concordia University of Edmonton is now accepting applications of University Entrance Scholarship. This scholarship is available for undergraduate scholarships for International and Canadian students. It is provides guaranteed renewable scholarships to high school students who present a minimum award average of 75%. If you are female students from Developing Countries than Margaret McNamara Educational Grants are available for you. For this scholarship, students already are enrolled as a full-time student, with a relevant student visa in national passport, and plan to continue studying full time in the following academic year. Trek Excellence Scholarships are offered by the University of British Columbia every year. These are available for domestic and international students. Through this scholarship, domestic students receive an award of $1,500 and international students receive an award of $4,000. International students are invited to apply for an International Experience Scholarship at the University of Ottawa. This scholarship is open for students who are pursuing an undergraduate & graduate program. The value of the scholarship will be up to $6,000. Applications are open for the Love Canada Scholarship to all new international students to study at The Toronto School of Management in Canada. It is available for diploma programs to up to 20 academically qualified students per intake. The University of Waterloo is providing the David Johnston – Lebovic Foundation International Experience Awards. The program is open to the students from around the world who want to study a full-time undergraduate and graduate degree program in any Faculty at Waterloo. Want to win a World International Scholarship? If yes, then the Justice Institute of British Columbia (JIBC) Office of International Affairs and the Fire & Safety Division are providing Irving K. Barber One World International Scholarship. This scholarship is available for international students. The scholarship will be awarded $3,500.